Ian Carlton, PhD is an urban development expert focused on building healthy, sustainable, inclusive, and vibrant places, particularly transit-oriented development (TOD). Leveraging his multidisciplinary background, including experience investing in station area properties, Ian has investigated transit planning and TOD implementation for nearly two decades and worked with numerous clients to produce and implement strategies that yield world class transit projects and transit-supportive real estate investments. Ian is a project director at ECONorthwest where he oversees the customization of MapCraft's web applications for clients. Ian co-founded MapCraft, an urban data science firm producing map-based web applications that help generate real estate insights. Ian's quantitative and qualitative studies have considered transportation and land use interactions, particularly the influence of transit service provision on real estate development. Specific research topics have included TOD finance, transit policy, value capture, TOD feasibility, transit planning norms, and TOD project failure amongst others. Ian frequently teams with others to produce the best results. Ian has handpicked research teams and has joined existing teams. Whatever the situation, Ian appreciates working with research sponsors and co-investigators that value social and economic diversity. Contact Ian if you are interested in sponsoring or collaborating on a research project. Ian has helped clients develop practical, context-specific strategies that unlock the potential of transit-served places, including advising clients on transit value capture, economic development, and land use policies. Ian's work is grounded in up-to-date global transportation and land use research while being sensitive to local politics and markets. 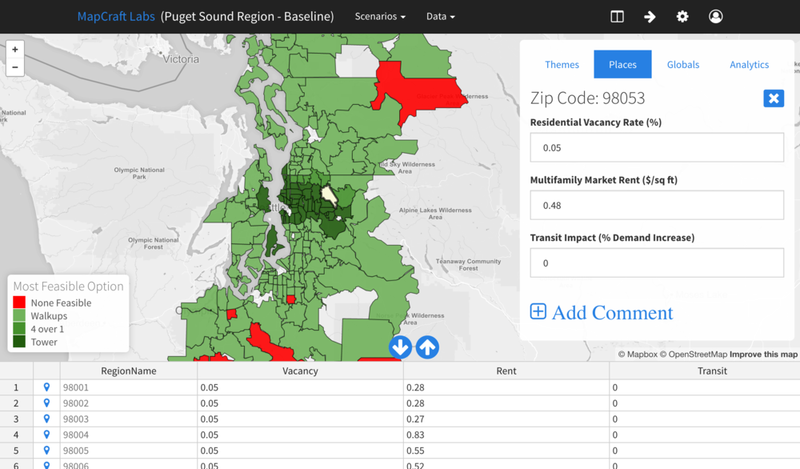 With a focus on helping clients frame and successfully implement TOD, Ian's consulting engagements have included site-, station area-, and corridor-level real estate financial feasibility assessments. To aid implementation, Ian has trained elected officials, government staff, local stakeholders, real estate investors, and future planning professionals on all aspects of urban development, particularly equitable TOD. Contact Ian if you are interested in advisory services or teaming on a project. MapCraft.io endeavors to provide planners, policymakers, real estate professionals, and others with state of the art tools that allow them to make better decisions. Ian co-founded MapCraft.io with Fletcher Foti to develop web applications that help answer complicated urban development questions. Ian's research and consulting experiences have highlighted opportunities to make TOD planning more effective and to make complex urban development more approachable, which you'll see reflected throughout the MapCraft toolkit. MapCraft's tools have been used across the United States. Learn more at MapCraft.io. Copyright 2008-2018. Ian Carlton. All rights reserved. Portland Streetcar header image used with permission. My thanks to Bert Gregory, Mithun.